The prickly questions of what to prune, when to prune and how to prune are tackled in this 2-hour workshop. Spring is a marvellous time to explore our stunning parkland, and wreath making offers the perfect opportunity to bring bright, natural greenery into your home. Then return to The Glasshouse and turn your forage into a beautiful Easter wreath. Kids love Easter, so what better way to celebrate than by getting creative? Perfect for budding young chefs! This workshop builds kitchen confi­dence. A variety of creations to take home with a recipe (parental guidance recommended). Lots of fun for all the family, take part in our eggcellent annual Easter Egg Hunt! The Easter Bunny has lost his eggs somewhere in The Gardens – can you help fi­nd them? Please note: You can arrive any time between 12pm and 4pm. The trail takes approximately 45 minutes, depending on the child’s age. Our Easter menu is ­filled with ­the finest spring flavours, so get the family together and enjoy a hearty 3-course Sunday roast. 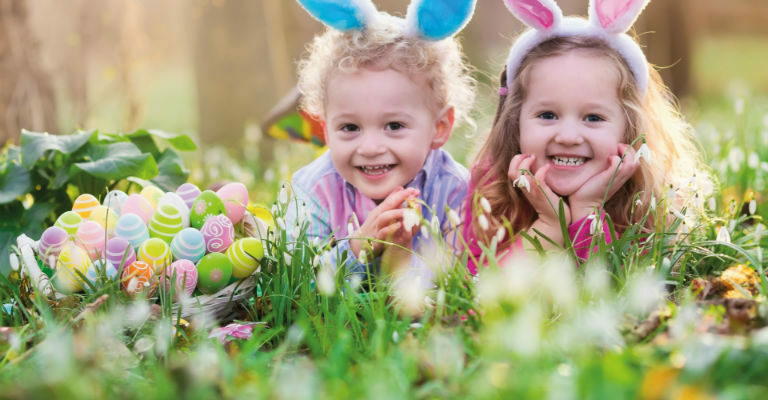 Wynyard has loads to offer this Easter for you and the family!